Rob Dunn is a professor in the Department of Applied Ecology at North Carolina State University and in the Natural History Museum of Denmark at the University of Copenhagen. He is also the author of five books. He lives in Raleigh, North Carolina. 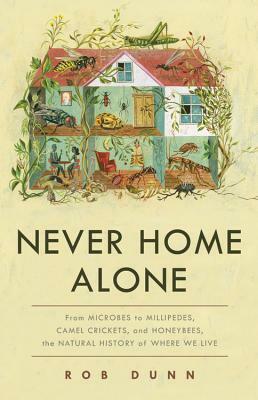 "Rob Dunn is a brilliant explorer of the strange, mostly uncharted biology of our homes and bodies. This must-read book is full of astonishing stories, skillfully told." "If you truly want to know yourself and be amazed, get to know your ecology. This charming book shows how important and fun it is to discover the astonishing world of marvelous and unseen creatures around us. You'll never take a shower again in the same way!"